A new Harvard study claims that statins should be used by most middle-aged men and women to blast cholesterol. As much as 67 percent of the U.S. adult population between 40 and 75 should use statins to fight cholesterol, a new Harvard study is claiming. New updated guidelines released in 2003 by the America Heart Association and the American College of Cardiology are more accurate and efficient than earlier guidelines published in 2003, according to the study, which was published in the Journal of the American Medical Association as reported by HealthDay News. To make the findings, researchers compared the two sets of guidelines — one in 2004 and one in 2013 — by seeing how they would predict the risk of cardiovascular events for men at least age 35 and women at least age 40 who had not had cardiovascular disease from 2002 to 2005 and had been tracked up until 2013. The patients were made to take repeated computed tomography scans that searched for calcification in coronary arteries. What the researchers found is the ACC/AHA guidelines had better accuracy and efficiency compared to the 2004 report from the National Cholesterol Education Program. The optimum balance between benefits and costs ranges between 48 percent to 67 percent of the U.S. population aged 40 to 75 getting statin treatment, according to a MarketWatch report. Heart disease is the number one cause of death in the United States, making this finding extremely important, and because statins have been shown of being a safe and effective way to fight against it — as well as being relatively inexpensive — these findings could have a dramatic impact on the world of medicine. A statin is a class of drugs used to lower cholesterol levels by blocking a certain enzyme that results in cholesterol production in the liver. Because the liver produces about 70 percent of the body’s cholesterol, this is the most effective place in the body to fight cholesterol. 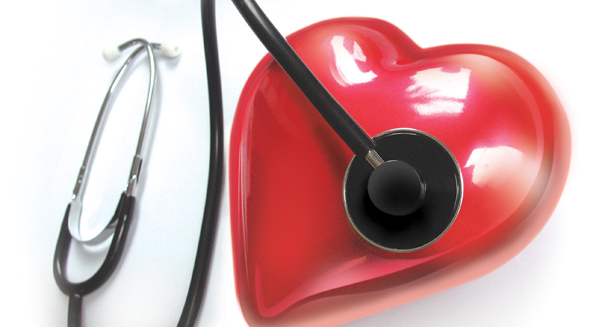 High cholesterol levels are often associated with cardiovascular disease.